Green energy system gives 19% return on investment and boosts firm’s green credentials. 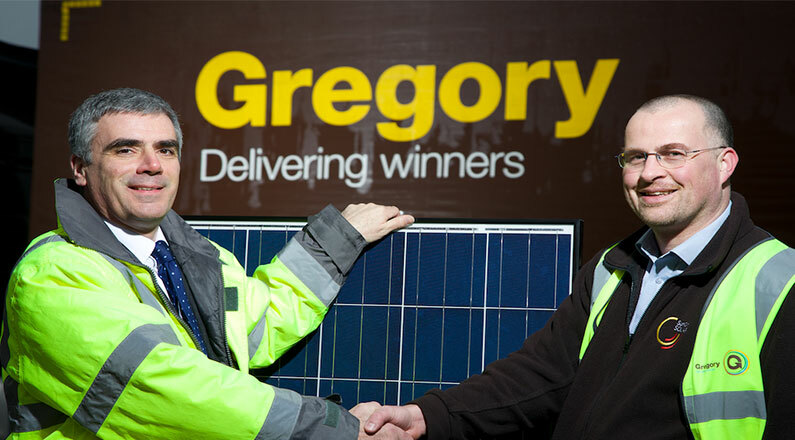 South west transportation company Gregory Distribution has taken the first steps towards reducing its electricity bills, securing its energy future and boosting its green credentials following the completion of a 250kWh solar PV system by SunGift Energy. 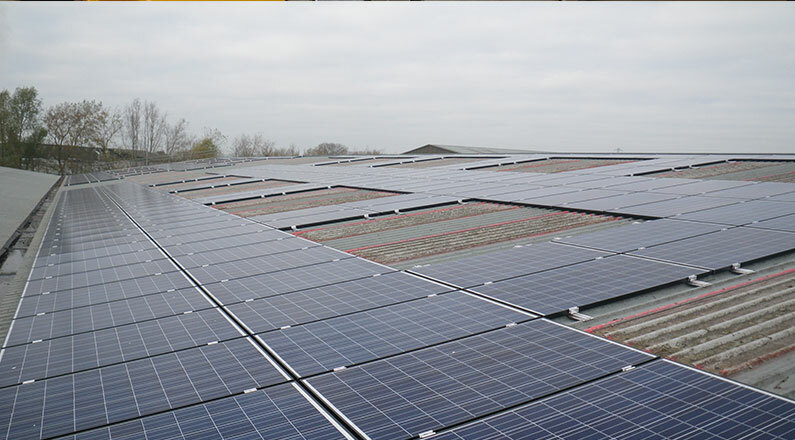 The system is installed on the roof of Gregory Distribution’s temperature-controlled and ambient distribution centre in Cullompton and is equal in size to the one installed by SunGift at the Met Office. It will not only generate an exceptional return on investment of 19.3% but also reduce the company’s carbon emissions by 116 tonnes per year. 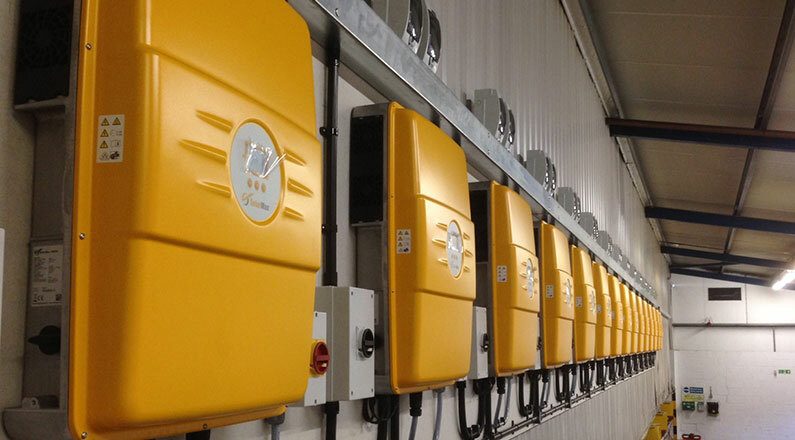 Gregory Distribution’s chilled and frozen warehousing operates around the clock and a significant proportion of the electricity generated by the solar PV panels will be used on site, rather than being fed back into the national grid. Before starting the work, SunGift sent out a specialist surveyor to assess the site and look at every possible option for Gregory Distribution. The design team then discussed the options in detail and designed a bespoke system that included 1,000 high-quality BenQ Solar Green Triplex Panels. 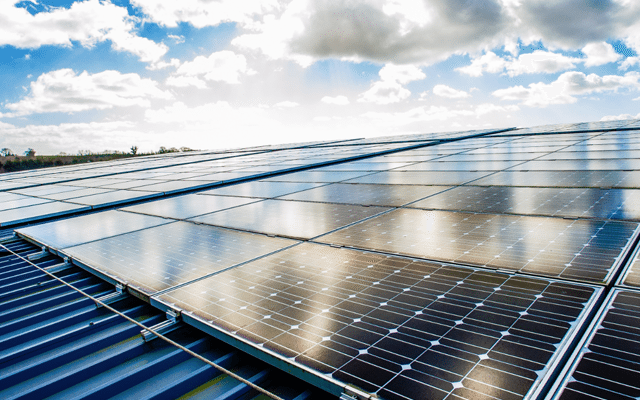 Many distribution businesses are looking for ways to reduce their energy costs and become less reliant on their energy suppliers, and solar PV is the ideal solution, particularly as most have ample roof space on their warehouses to install the panels on. 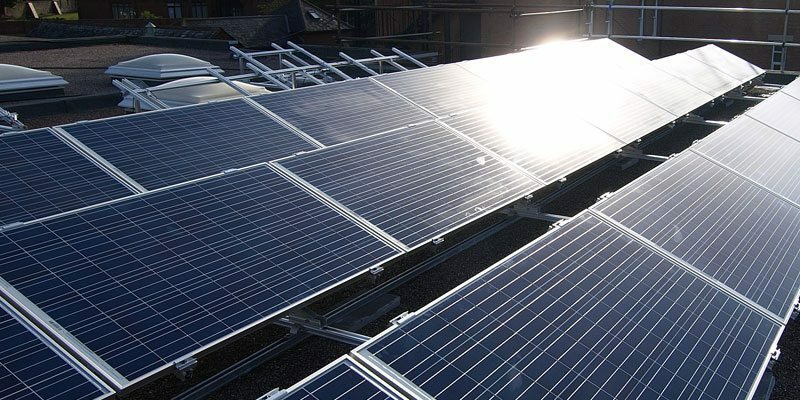 What’s more, as system costs have come down dramatically in the past few years and Feed-in Tariff rates have remained strong, five year payback periods are not uncommon. With a further 15 years of payments to look forward to and free electricity, distribution businesses really can make the most of the technology.